Imagine how brick paving could improve your Greenville, Simpsonville, SC home’s outdoor living space. 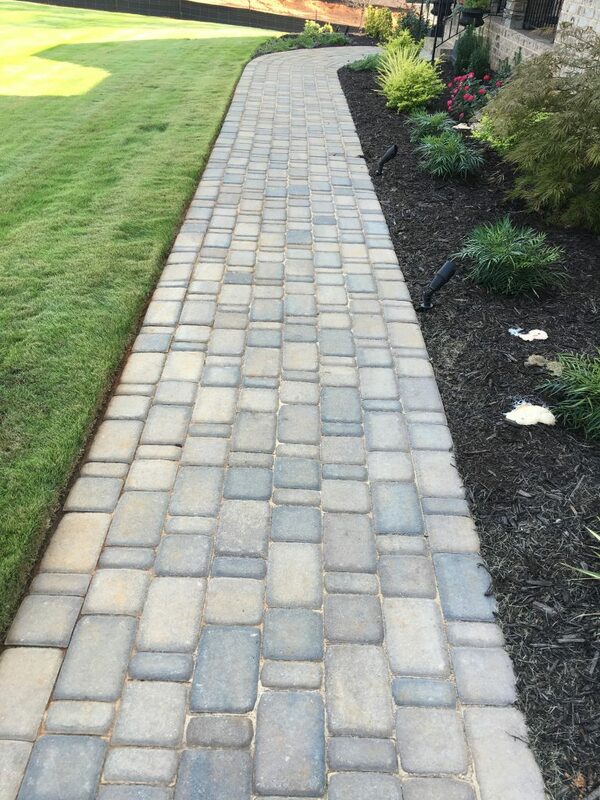 Brick Paving in Greenville – More and more homeowners in the Greenville, Simpsonville, South Carolina area are embracing the beauty that brick paving can lend to various projects. Not only is brick appealing to look at, but it is also affordable and classic. Add to that being low maintenance, durable, and eco-friendly, and you have a real winner for your outdoor living spaces. At Greenville Pavers, we can show you what brick paving can add to your outdoor patio, kitchen island, outdoor fire pit, and hardscaping projects. The reason why brick paving is so affordable and eco-friendly is because the bricks are made from natural clay, which is quite plentiful. If you have ever tried to dig a fence post hole or foundation footing in clay, you know how hard it is, so you can imagine how durable brick paving is for even heavy traffic areas such as walkways. We have over 75 years of combined experience working on projects that require brick paving, so we are well qualified to design and create your outdoor living space. It will be one that makes you proud and provides you with a lifetime of enjoyment. Because brick paving is classic, it will never fall out of fashion, so you can count on your project lending value to your home for years to come. If you would like to know more about brick paving or any of our other paving services, we welcome you to contact us. We always do what we say we will do, so you can be assured of complete satisfaction for your project from beginning to end.